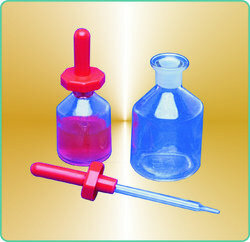 Our product range includes a wide range of Laboratory Ware such as Weighing Bottles with Interchangeable Stopper, Density Bottle Uncalibrated, Density Bottle Calibrated, Pickno meter with Thermometer Class 'B', Bod Bottle with Interchangeable Stopper, Reagent Bottle, Screw Cap, Reagent Bottles, Narrow Mouth, Reagent Bottles, Amber, Woulfe Bottle Three Neck, Woulfe Bottle Two Neck etc. 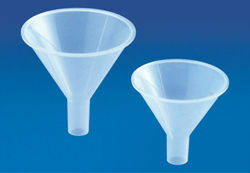 Buchner Funnel with Sintered Disc of Porosity G-0 or G-1 or G-2 or G-3 or G-4, Plain stem. 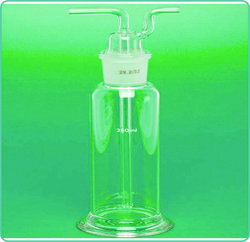 “Teknik” Weighing Bottles, with interchangeable stopper. 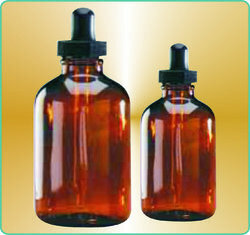 Amber Dropping Bottles, Boro 3.3 fitted with ground in interchangeable stopper and rubber teat. 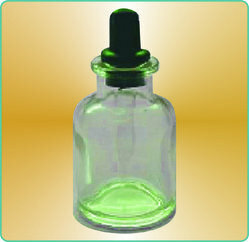 Dropping Bottles, Boro 3.3 fitted with ground in interchangeable stopper and rubber teat. 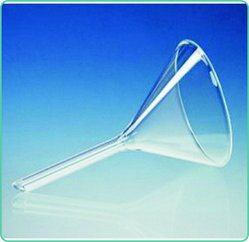 Weighing Scoops with open tubular arm, suitable for use when small quantity of dyes or powders are to be weighed. 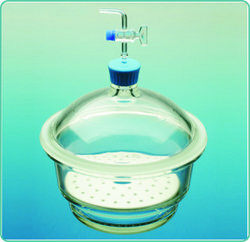 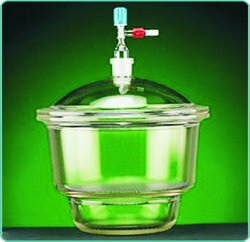 “Teknik” Desiccator with Lid, Vacuum, with Stopcock. 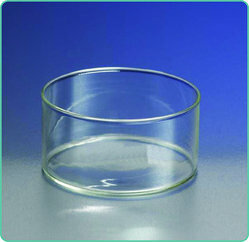 Borosilicate 3.3 glass. 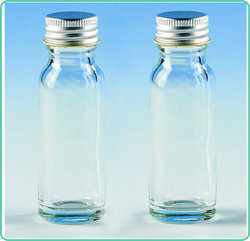 It can be used to determine determine Carbon Dioxide, Oxygen, and Carbon Monoxide concentrations from these samples. 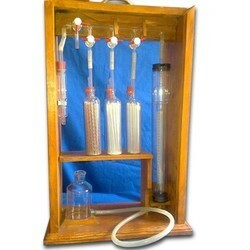 The Orsat Analyzer is designed for analysis of integrated or grab bag samples from fossil fuel emission sources. 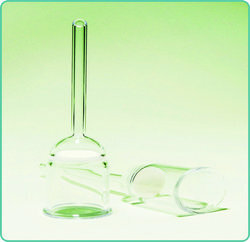 The liquid-filled leveling bottle uses a graduated glass burette and absorption pipettes containing absorbing reagents to measure the percent of each gas in an integrated sample. 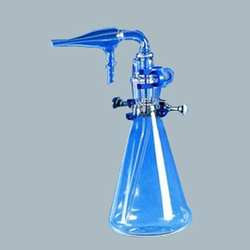 The burette is water jacketed for temperature stability. 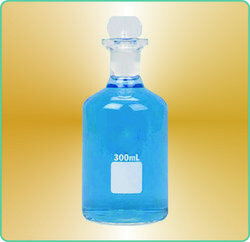 For transferring powdered reagents. 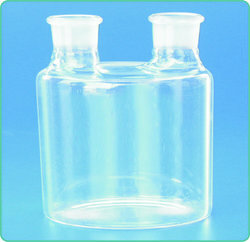 Is unique because of its parallel stem which minimizes bridging of powder. 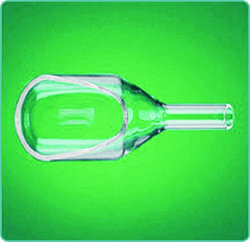 Autoclavable at 120C. 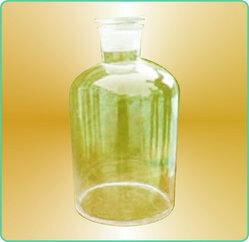 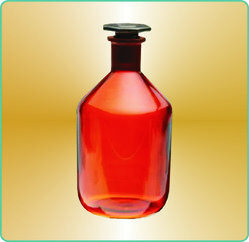 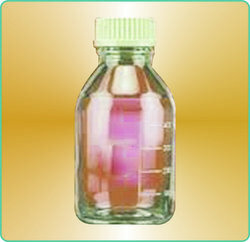 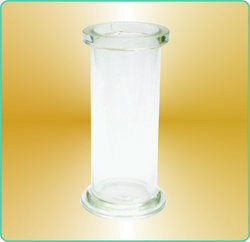 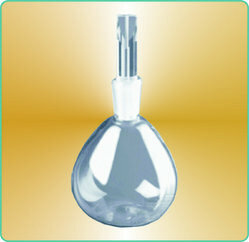 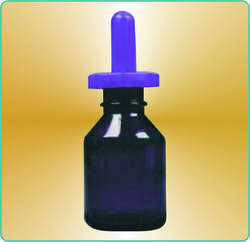 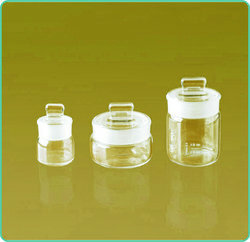 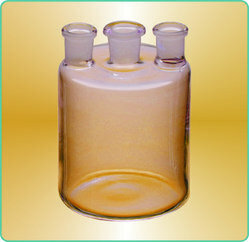 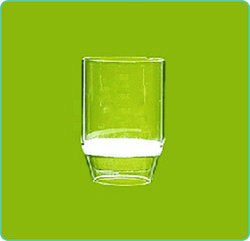 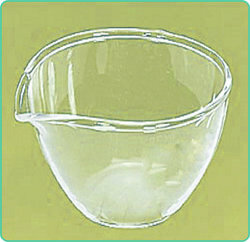 We are manufacturer of Laboratory Glassware in India. 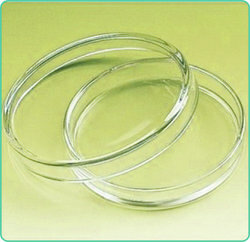 Looking for Laboratory Ware ?